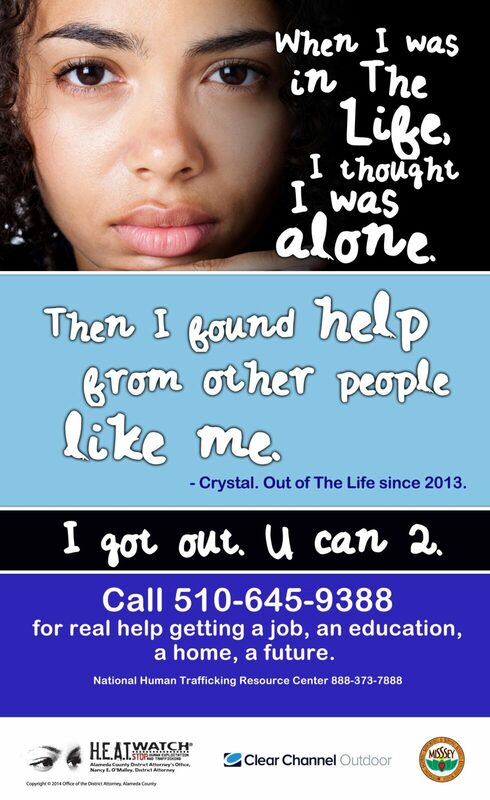 Protect Oakland Kids public service campaign was a collaborative effort of the Alameda County District Attorney’s Office, MISSSEY, Clear Channel Outdoor and the original design team of Suzanne Boutilier, Genice Jacobs and Jed Davis. Photo credit: Tom Page. 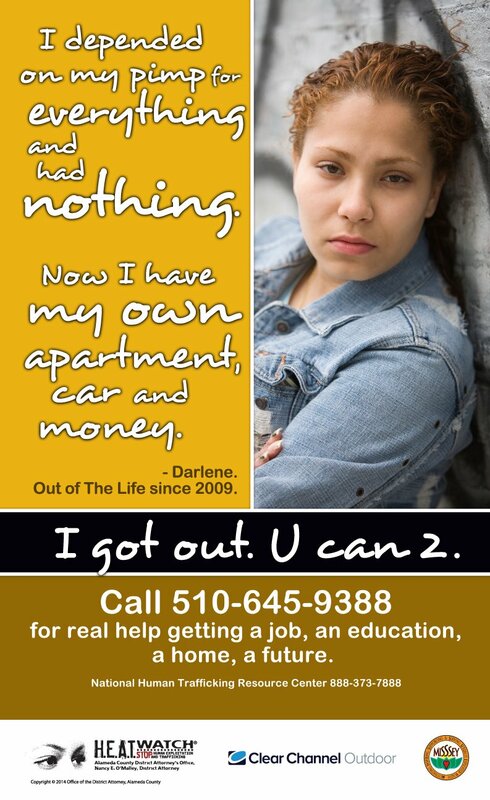 © 2014 Alameda County District Attorney’s Office. 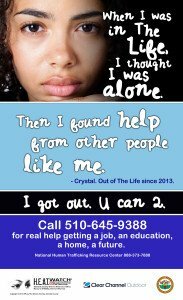 The victim campaign shows trafficked children a way out of their enslavement by directing them to the National Human Trafficking Hotline. 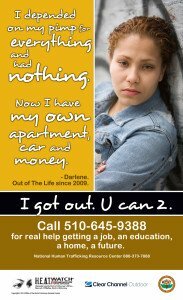 This campaign can also be produced as posters to display on middle school and high school campuses.